Escape the bustle of the mainland with a two-day tour of Lundy Island. Serene and unspoiled, it boasts a rich hub of marine wildlife and breathtaking views. 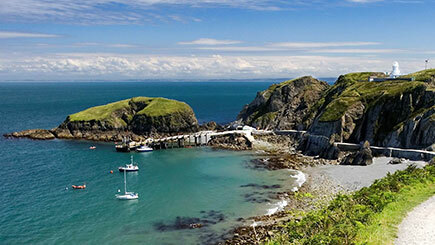 Start off with a two-hour sail to Lundy, then take time to relax and soak in the surroundings. Discover beautiful beaches and nestled-away caves. Pitch a tent in one of the green fields and, come nightfall, tuck up for a cosy night's sleep. The next day, don a wetsuit and grab a paddleboard. It's time to navigate the waters around the West side of the island. Explore Surf Point and Black Rock and paddle up the bays around the North West Point. There'll be the chance to get up close to some incredible wildlife. The experience includes a hearty breakfast, lunch and dinner at the Tavern Inn. Selected weekdays and weekends between April - October.